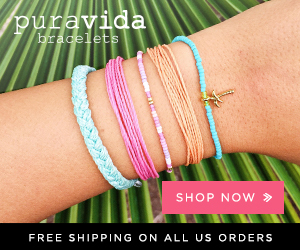 Don’t Miss Shopbop’s BIG Sale! If you have been waiting for the next BIG sale from ShopBop, it’s finally here! Just in time for the biggest shopping season of the year comes a great chance to save big on top name designer fashions! Whether you need something special to wear to a holiday party, are looking for a few gifts to tuck under the tree or just need to build your winter wardrobe, don’t miss this BIG sale from ShopBop! Use the code GOBIG16 at checkout to save 15% off any order of $200 or more, 20% off orders of $500 or more or 30% off orders of $800 or more! ShopBop already has huge discounts off the regular prices of top-of-the line designer labels, but during this sale you can save even more! Make sure to check out some of these top brands you will find on ShopBop including Club Monaco, Herve Leger and Enza Costa (all pictured above). Head over to ShopBop and use the promo code GOBIG16 to save an extra 25-30%! The Sale ends at November 28, 2016, at 11:59pm PT. 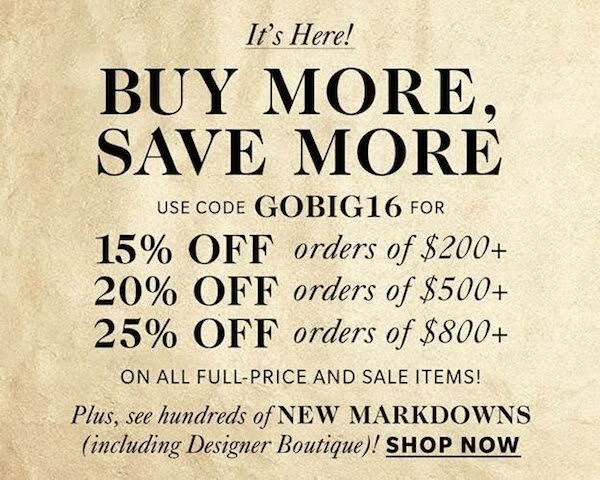 This offer only applies to products with “GOBIG16” included on their browse and product information pages, so choose wisely! This entry was posted in Deals, Fashion on November 22, 2016 by Chrysa.